보이스 카페의 마지막 바리스타 이정신의 카페가 7월 8일에 열립니다. 이정신이 잠시 우리와 이별하게 됩니다. 이정신 카페에서 뜨겁게 응원하려고 합니다. 서포트와 이벤트의 내용은 확정된 이후에 다시 알려드리겠습니다. 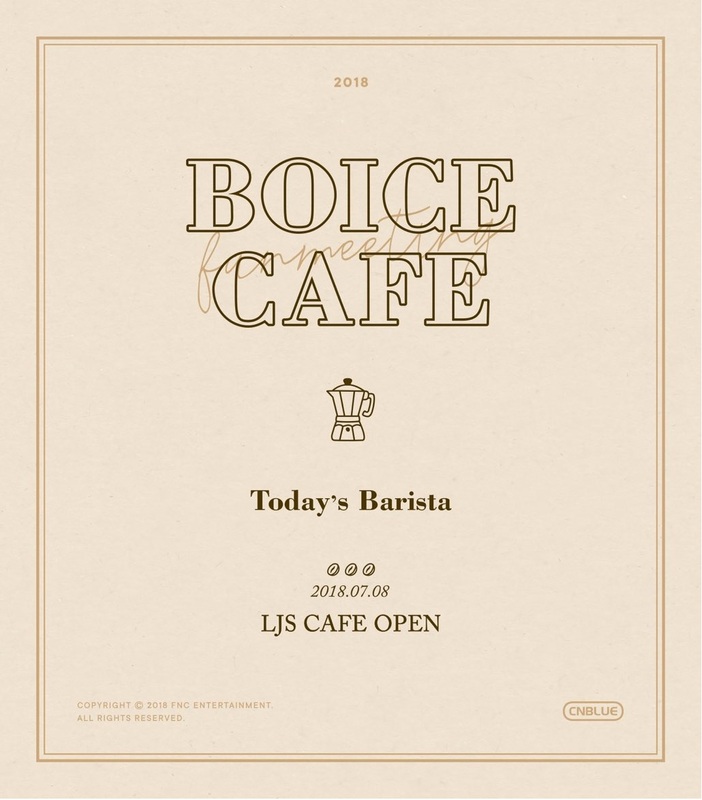 The last Barista · LJS Cafe of Boice Cafe will be held on July 8th. It is the fan meeting of Lee Jung Shin which is waiting for long. Lee Jung Shin will be separated from us for a while. We wish Lee Jung Shin healthly and happy. We would like to support the LJS Cafe. As time is approaching, let's cheer for it together. The contents of support and events will be announced again after it is confirmed.